I wanted to celebrate the end of summer with my girls and we decided to make some fun soaps for them to use in the tub. Once we hit fall, sports season begins and the children are in the bathtub quite a bit (which they hate) so I try to make things as fun as possible. 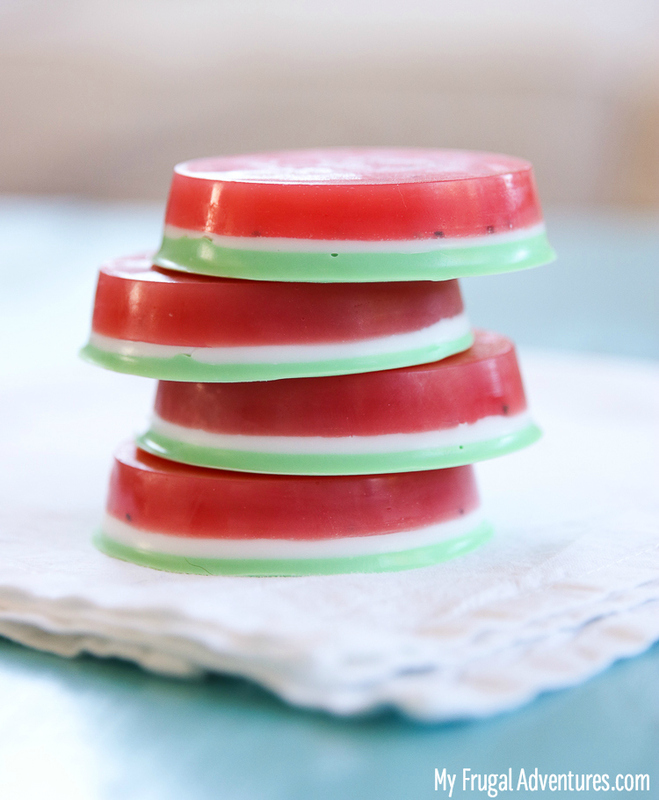 Both of my girls love these little watermelon soaps and I think they would be such a cute homemade gift idea or try making these on slumber party nights as a craft activity for the kids to try. 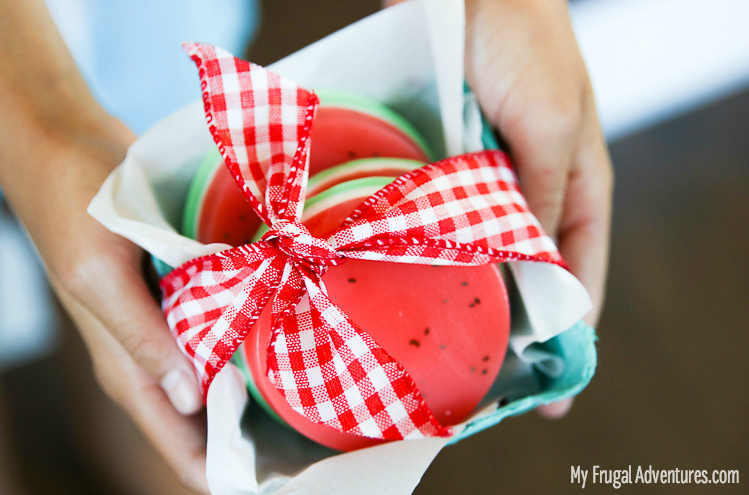 How cute are these watermelon soaps? I think these could easily be strawberry soaps too by just omitting the extra white layer. 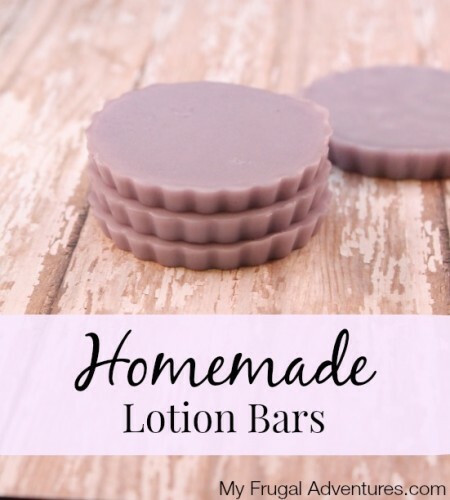 You won’t believe how easy these custom soaps are to make and you can really get very creative here with different colors and shapes and fragrances. I already have a bunch of other ideas that I will hopefully be sharing very soon. You can find most of these items at Michael’s stores or I have the links for Amazon above. Michael’s also sells kits that have pretty much everything inside them so watch for those too. *I have tried using Shea Butter Soap instead of Goat’s Milk and I have found it doesn’t layer as nicely and can be a little faster to harden, making it tricky to work with. You might have better luck but the Goat’s Milk soap gives nice crisp layers for me on every bar. Place your soap mold on a flat surface that won’t be disturbed. The soap does harden very quickly. Pour a few chia seeds into your hand and carefully place them sporadically in your molds. These are supposed to be seeds so just a few is fine and you don’t want them all clumped up. Heat your soap base in the micro in 30 second intervals until melted. Stir between each interval. You want to work very quickly once the soap is melted as it will harden quickly. If your soap does harden before you finish, simply put it in the microwave in 15 second intervals until melted again. 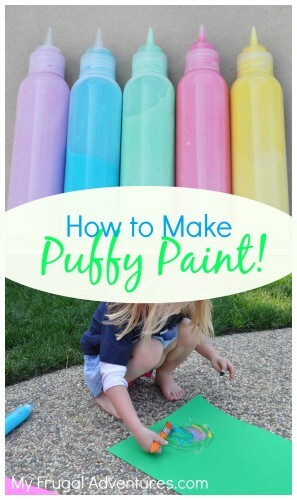 Once it is completely melted add a few drops of your red colorant and stir well- adding one drop at a time until you get the correct shade of red. You can also add any essential oils or fragrances at this point. I added Lime oil from Young Living which was the closest all natural fragrance I could get to watermelon. You might search your craft store and see if you find other options. 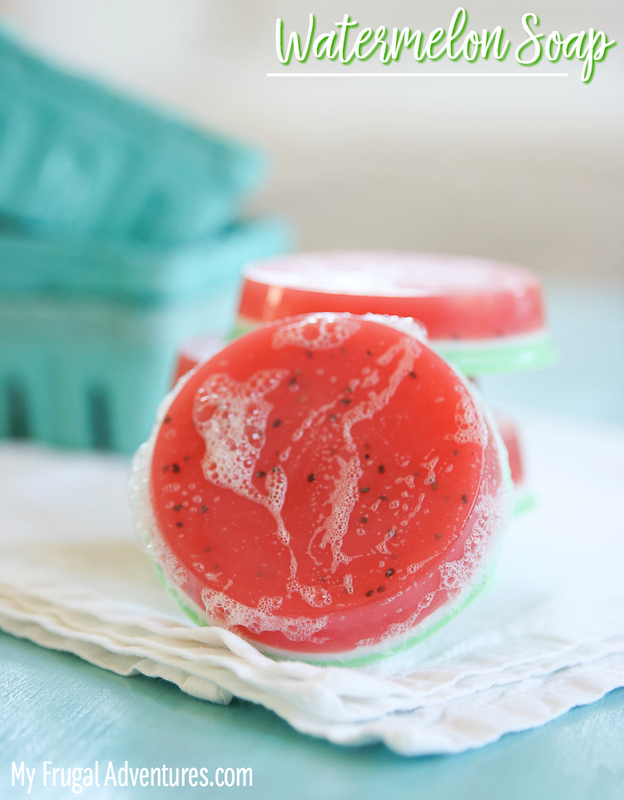 I added a few drops of pink to my soap to give the watermelon more of a pinky-red shade. Totally up to you based on the supplies you have on hand. Add a few more chia seeds and stir well. Carefully pour the red mixture into the soap mold- about 60% of the way up the side. You need white and green layers so not too high up. Now melt the goat’s milk soap. This is a thinner layer so you don’t need much. Poor on top of the red layer and let cool- about an hour. This is your thinest layer so just a little goes a long way. I found it easier to spoon the white layer out of the bowl on top of my red soap. Finally melt a bit of goat’s milk soap again and add drops of green until you get your desired shade. Also add a few more drops of your essential oils at this point if you like. Pour on top of the white layer and let cool. And now you are done! 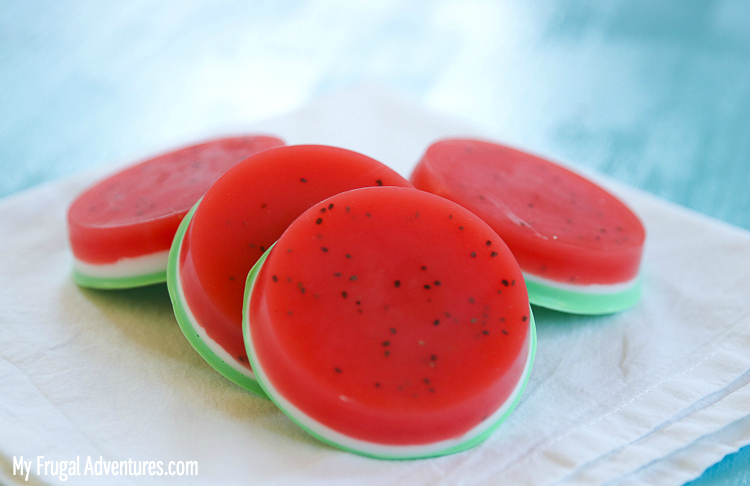 Cute little watermelon soaps! I think these are fun packaged up in a little berry basket. If you decide to make this please come back and let me know what you think! 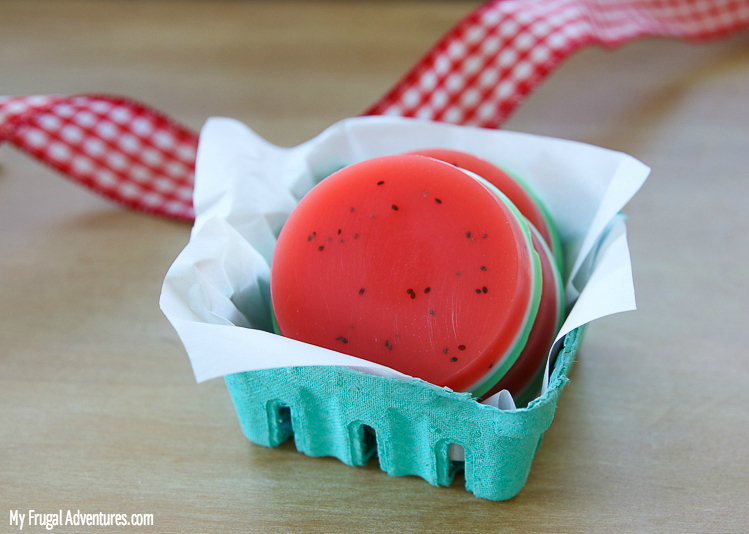 Filed Under: Crafts and DIY Ideas Tagged With: Homemade soap, homemade watermelon soap. Does the soap dye skin red? Hi Becky- no I have not found that to be the case. I think this is so beautiful. I’ll be trying it with poppy seeds as they are biodegradable, rather than sequins. Thank you for posting. Cool Mel, I’d love to hear how they turn out! 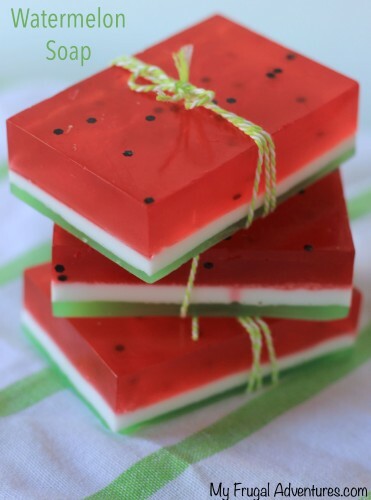 I can hardly wait to try making watermelon soap! As a novice newbie wannabe please tell how you made perfectly rectangular pieces of the soap? Thanks for sharing! What does it smell like? I wonder if there is an essential oil that smells a little like watermelon?